What is Neuroforma for patients? Neuroforma is a computer program for motor and cognitive rehabilitation created by neurorehabilitation and neuropsychology professionals. Neuroforma is designed for patients with neurological diseases and injuries. It's particularly suited for the rehabilitation of patients with multiple sclerosis, those recovering from a brain stroke or brain injury. Start your computer and web camera. Position yourself in front of your computer. After starting the Neuroforma program you’ll see your image on the screen. Depending on the exercise, you direct your image to catch, move, strike, or avoid objects appearing on the screen. 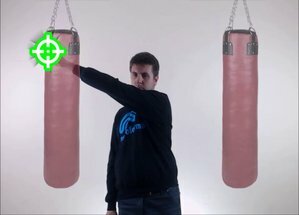 The camera registers your movements, and the computer monitors your progress. Neuroforma is being created together with users, therefore it’s very user-friendly, that is you can easily use it even if you’re not computer literate. 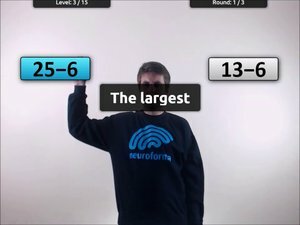 What does the full version of Neuroforma give you? In Neuroforma you have access to over 20 exercise modules. They engage both motor and cognitive skills. With Neuroforma you can improve e.g. movement precision, eye-hand coordination, joint mobility, muscle strength and endurance, perception and decision making processes, attention and memory. All this in an attractive, motivating way. You can create your own practice session with all the available modules. A practice session is a group of exercise modules of your choice, which will start automatically one by one in the order that you set. You can create various practice sessions for every day! Neuroforma gives you instant feedback. When you practise, the program shows you your results. After the practice session you can see a report about your consistency and progress. 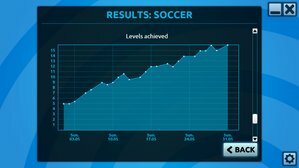 You can also have a look at your results in a particular session at any time when you practise. You can instantly follow your progress. A day without Neuroforma is a day wasted for me. Exercises are attractive, and I feel my arms getting stronger as I exercise. I noticed big changes after only one month of training. I find that Neuroforma exercises match my abilities. I perform them with pleasure. The most important factor for me is that I can exercise at home. Neuroforma is a wonderful supplement for rehabilitation. It’s easy to use, with no obstacles for users. Practically all you need to do is to turn on the computer and start the program. 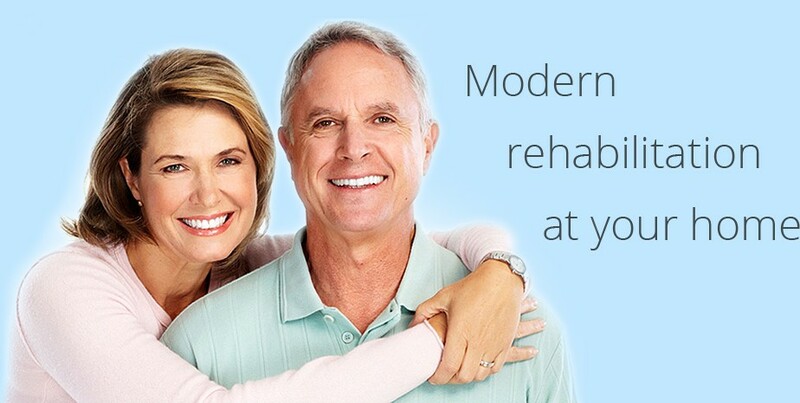 Finally there is a program facilitating home rehabilitation. 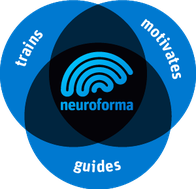 Neuroforma is a great innovative rehabilitation program, both for disabled people recovering from traumas, who need to get fitter, and for people bored with traditional exercises. Use the link below and install the free version of Neuroforma. You can give it a try for the next 7 days and see for yourself how much Neuroforma can help you in your daily practice. The full offer and price is available in the menu tree of the demo version.